HYDE PARK — The Checkerboard Lounge has permanently closed its doors after the death of owner L.C. Thurman. Thurman died July 22 after a long battle with illness, and the club he founded in 1972 with guitarist Buddy Guy closed in August. 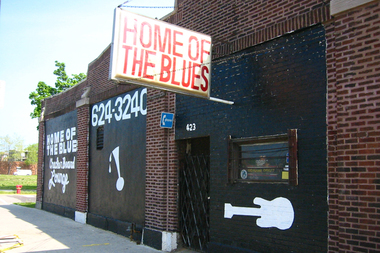 Thurman was a legend on the Chicago blues scene, keeping “the home of the blues” going during good times — like in 1981 when the Rolling Stones jammed there with Muddy Waters when the club was still at its well-known 43rd Street location in Bronzeville — and bad — when the club almost closed on numerous occasions. Thurman was private, rarely giving interviews, and his death at 79 was also quiet. 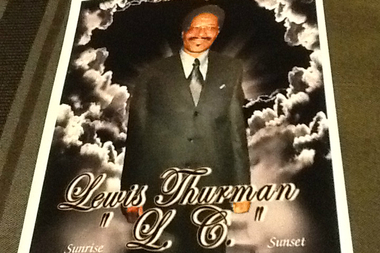 Thurman’s family has declined to speak with the media, and no obituary was published in any of Chicago’s newspapers. Cyrius Estevez, a promoter at the club, said the Checkerboard Lounge, 5201 S. Harper Court, quietly closed for good in late August. “We all knew he was going in and out of the hospital, but when he passed away no one really knew until the last minute,” Estevez said. She said Thurman, who held a blues bash on his birthday every year at the club, deserved to be remembered and honored by the blues community. Thurman opened the club in 1972 with Buddy Guy on 43rd Street and hosted an unbelievable lineup of musicians, including Eric Clapton, Stevie Ray Vaughan, Junior Wells, Chuck Berry and Robert Plant from Led Zeppelin. Thurman and Guy split in 1985, and by 2003 the club was battling building problems and declining interest in the blues. Thurman moved the club to Hyde Park in 2005, chasing a clientele that was increasingly University of Chicago students. In 2014, Thurman’s brother, Maloid Jones, who had taken over many of the day-to-day duties of running Checkerboard, said the club was struggling to survive through the wave of new construction in Hyde Park that had limited parking and reshaped the block around the club. In the last year, “the home of the blues” was hosting more house music events and at times was open little more than one day a week. Estevez said she was unsure what would happen with the building, which is owned by the University of Chicago and was vacant except for the club.